As any owner of a pet bird knows, toys are vital to their happiness. 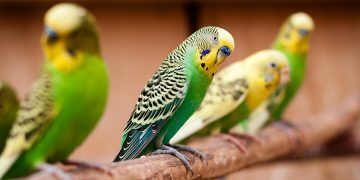 Many pet birds love to play with toys — and love to destroy or chew on anything that comes their way. If they don’t have a constant supply of toys to play with, they can become grumpy and stubborn on a daily basis. That’s why it’s incredibly important to make sure your pet bird always has the best toys to play with. Bird toys, regardless of what kind they are, are great for your bird’s everyday life. Not only do these toys allow your bird to have fun, they also provide much needed exercise (great for the more active bird breeds) and mental stimulation. Having a proper supply of toys at the ready for your bird also prevents them from growing bored; when they grow bored, they’ll be grumpy and stubborn. 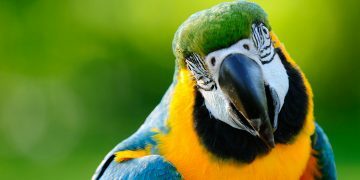 A lot of stubbornness and behavioral problems actually stem directly from birds not receiving enough stimulation, both mental and physical. Health problems can also stem from a lack of stimulation, which is definitely not good. You can buy all of these at your local bird store or animal store. If you don’t have one in your local area, you can always check online on a variety of sites that specialize in birds and bird toys. The best big store options are always PetSmart or PetCo, or the store where you bought your pet bird in the first place! Amazon is also a great way to get plenty of toys for your bird delivered straight to your house. Keep some exercise toys in your bird’s cage as a way to keep them active and entertained. From fun swings to ladders they can climb up on, exercise toys will help them move around and get some physical exercise in for the day. Bird cages come in many shapes and sizes. 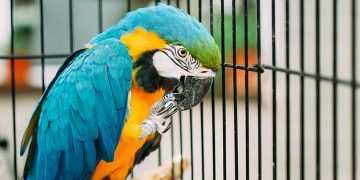 Different species of birds have different needs, so you always need to make sure your bird cage is appropriate.